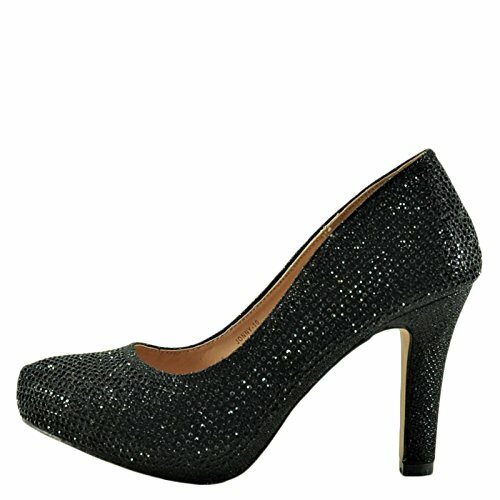 Heel Height: 3.75 imch, Platform Height: 0.5 inch, Style: Pumps, Classics, Material: Synthetic / Crystal, Width: Medium (B, M), Pattern: Crystal. Have all eyes on you at your next special night out in the crystal-embellished, chunky-heel pump called the Jonny 10 by Blossom. 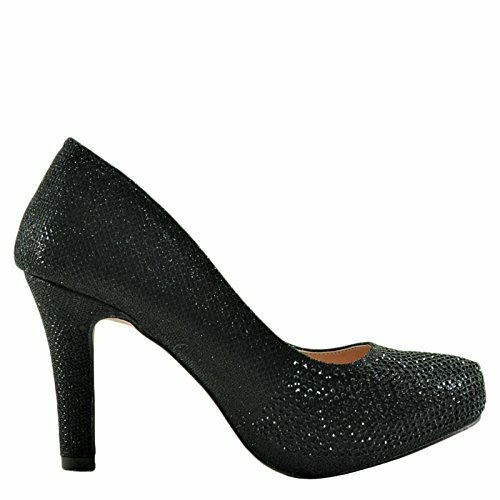 Sparkling synthetic upper, Quarter and vamp embellished in shimmering crystal rhinestones, Chic almond toe construction. 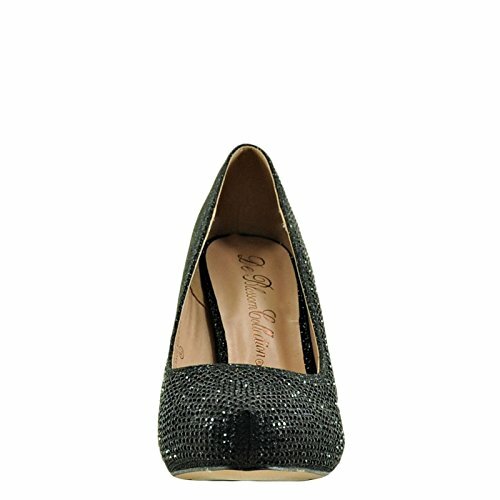 Blossom Jonny 10 Women’s Crystal Covered Almond Toe Pump. 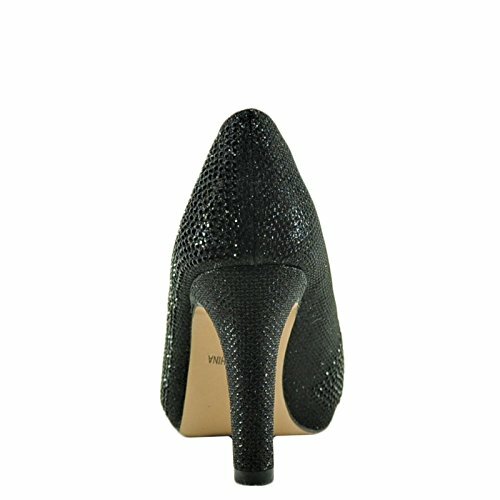 Heel Height: 3.75 imch, Platform Height: 0.5 inch, Style: Pumps, Classics, Material: Synthetic / Crystal, Width: Medium (B, M), Pattern: Crystal.Have all eyes on you at your next special night out in the crystal-embellished, chunky-heel pump called the Jonny 10 by Blossom. 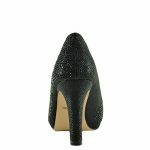 Sparkling synthetic upper, Quarter and vamp embellished in shimmering crystal rhinestones, Chic almond toe construction. Cushioned insole with extra padding at the ball of the foot, Hidden platform with a chunky modest height heel, Sturdy synthetic sole with grip. Scouring the globe for inspiration, our Design Team is inspired by fashion’s most covetable trends; providing you with a cutting edge wardrobe season upon season. Cushioned insole with extra padding at the ball of the foot, Hidden platform with a chunky modest height heel, Sturdy synthetic sole with grip.